An ideal complement with diet. Helps fulfill daily protein needs. Promotes healthy liver health. Provides energy to perform daily activities. Supports faster recovery. Easy to consume and digest. Hepstan protein powder is an excellent dietary supplement for anyone who wants to maintain a healthy liver. Usually, it is observed that people who suffer from a liver disease are vulnerable to proper nutrition due to inadequate food intake. Also there are lot of deficiencies found in them especially people who are suffering from alcoholic liver diseases. In such individuals, the requirement of protein is generally more as compared to an ordinary individual. Consuming healthy food is very much crucial on daily basis. Your breakfast, lunch and dinner should be equally robust but due to certain health conditions at times, consuming heavy meals incorporating all the vitamins and minerals becomes a challenge. 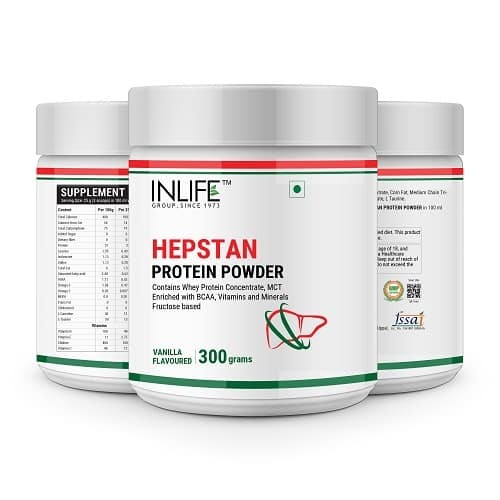 INLIFE Hepstan Protein Powder is an ideal supplement for such individuals who require a high amount of protein intake and are nutrient deficient. The supplement also aids in taking care of liver health. Apart from Whey Protein, Hepstan Protein Powder also contains ingredients like medium chain triglycerides, L-Carnitine, L-Tartrate, L-Taurine and BCAA’s. Whenever we talk about protein or any nutritional supplement essential amino acid plays a vital role in term of giving benefits to the body. In case of liver conditions only essential amino acids are easy to digest as compared to non-essential. 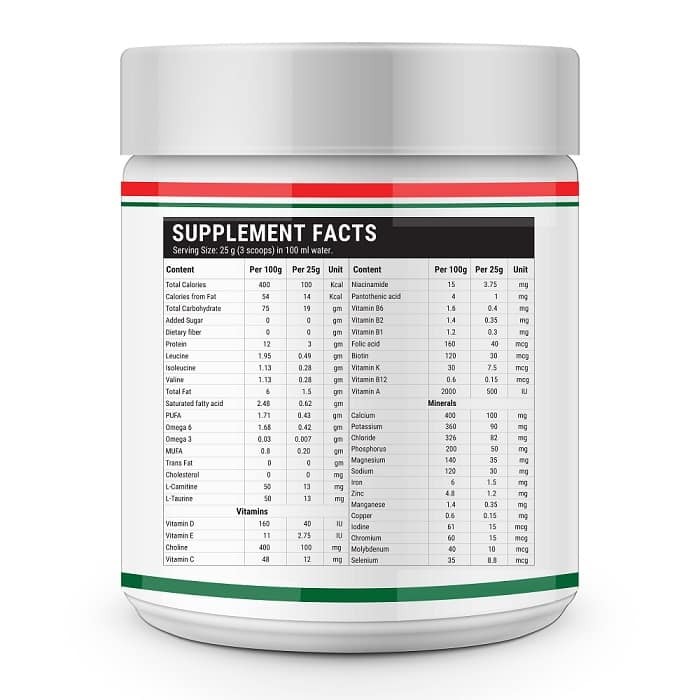 The branched chain amino-acids present in the supplement, helps in providing the desired protein content. INLIFE Hepstan Protein powder is an essential supplement for any individual looking for optimum health. It is a must for the people who have compromised liver health, people with addictions and substance abuse and also for those who have digestion problems and are unable to absorb nutrition through food. You can take INLIFE Hepstan Protein powder as your mid morning or evening snack and get a considerable portion of vitamins and minerals from the same. Give your liver; a friend who will help to attain its need with INLIFE Hepstan Protein powder – A perfect way to boost your health. Directions: Add 3 (three) rounded scoops (25 gms) of INLIFE Hepstan Protein powder to a glass filled with 100 ml of water. Suggested Intake: Consume daily as mentioned on the label of the product. Thank you for wonderful supplement im taking daily for liver health.